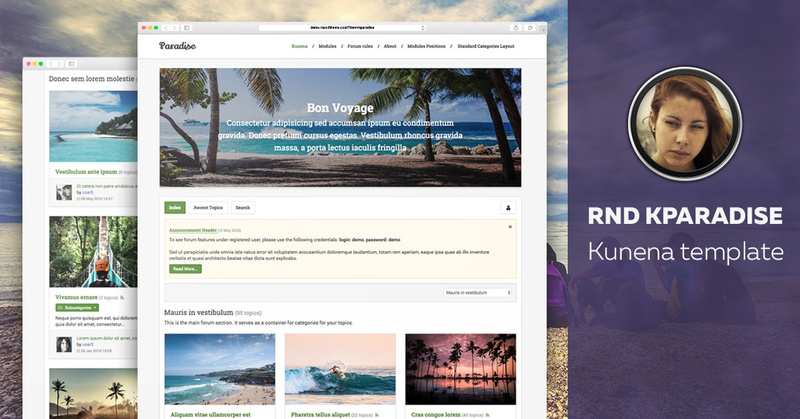 Tourist and travel template Kparadise updated to version 2.0 and is compatible with Kunena 5.1.6. Do not miss this great template which has unique features: Images in Category and Masonry Grid. You can download Kparadise from our repository and update Kunena on your site. All major issues were fixed as well as we implemented improvements to get the best result with Kunena 5.1.6. Moreover, Kparadise uses Font Awesome 5.5 markup and still has Bootstrap 2 version.